Why Dive With Black Rock? 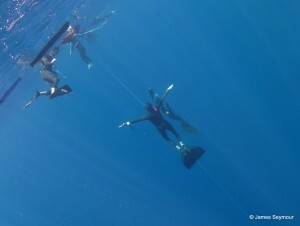 Another way of socialising with the marine life is freediving. In just one breathe you can reach depths you wouldn’t thought possible for us non-gilled folk and fin along without a care in the world. Learn breathing exercises and relaxation techniques to be at one with the fish and to boldly go where no man has gone before!